The Kurdish YPG Resistance movement against the Islamic State is drawing serious attention to the future of the Kurds, who have been cruelly persecuted in Turkey, Iran, Syria and Iraq. Their recent territorial gains in Syria and Iraq against the Islamic State in the face of an aerial coalition led by the United States is direct evidence to the fact that the terrorist group can, and must be defeated. Before World War I, Kurds were Sunni Muslims with their own language, culture and lived in the area between Turkey, Iraq, Iran, Armenia, and Syria. The Kurds were nomads who practiced pastoralism along the plains of Mesopotamia and the highlands of Turkey and Iran. After the war, the Treaty of Sèvres in 1920 created a mandate system – Syria under France with Palestine and Iraq under the British control (entrusted to the European States which, for all practical purposes, opened the way for an independent Kurdistan). Unfortunately, disagreement between France and Great Britain over the Kurdish question resulted in the creation of autonomous Kurdistan. Despite several attempts made by the League of Nations, the 1923 Treaty of Lausanne signed between the West and Turkey led by Kamal Ataturk buried Kurdish hopes of self-determination. Isolation of the region by Turkey in subsequent years prevented the Kurdish question from being discussed at all. 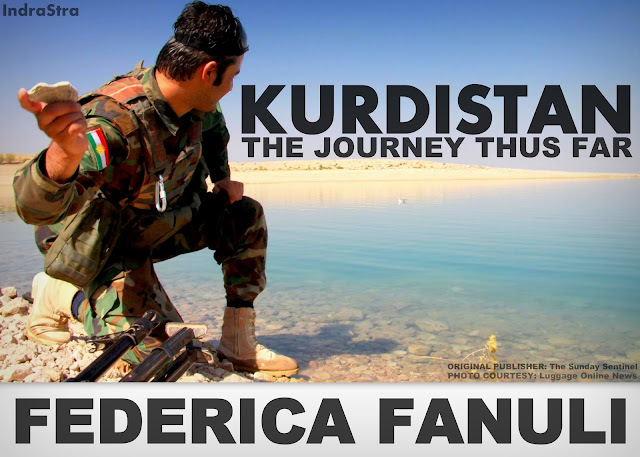 Thus, emerged the nationalist and self-determination push among the Kurdish people. 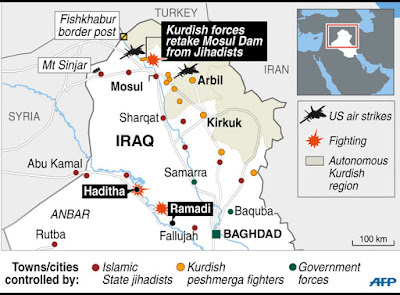 Kurdistan was spread across Turkey, Syria, Iran, and Iraq. Kurdish movements for secession were brutally suppressed. Concentration camps, massacres, and mass graves discovered over time have marked the violent history of the Kurdish people. In Iraq, after the Kurds fought with Iran in the 1980-88 war against Saddam Hussein, chemical weapons destroyed swathes of Kurdish villages. They suffered persecution and discrimination in Syria and in Iran under the Shah Reza Pahlavi and after the 1979 Islamic revolution. The “Turks of the Mountain”, offensive words about the territorial structure of the region of Kurdistan, stripped them of their identity. The struggle between the Turkish government and the Kurdistan Workers’ Party (PKK) – the Marxist-Leninist clandestine armed movement supported by the masses of the southeast of the predominantly Kurdish country – has become a real war, which has left thousands of victims on the battlefield. In 1999, despite the incarceration of the historic leader Abdullah Ocalan, the PKK – included in the black list of terrorist organizations by the US, the European Union and Turkey – has pursued its armed fight, alternating violence with periods of truce. That being said, the Kurdish problem must be analyzed from a geo-political point of view, as an intrinsic part of the Middle East’s dynamics. For starters, the region inhabited by Kurds in northern Iraq is rich in oil. This resource explains the partially autonomous territorial fragmentation and Turkey’s opposition to the independence of Kurdistan. In 1990-91 and in 2003, the day after of the two Gulf Wars and the American invasion in Iraq, the Kurdish question appeared on the Middle East political scene to gain control of a territory, and its oil fields, which had (and has!) a great political economic and strategic importance. Nevertheless, the current region of Iraqi Kurdistan enjoys a certain degree of political autonomy as it is a federal region of Iraq as well as for the Syrian Kurdistan. 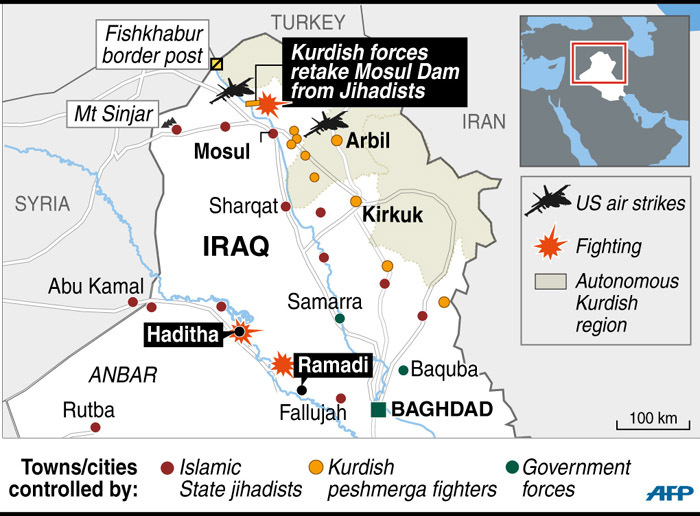 Recently, Kurdish involvement in the Syrian Civil War has produced significant results for the autonomous region. The People’s Protection Units (Yekîneyên Parastina Gel, YPG) and the Syrian rebels took the strategic city of Tal Abyad on the Turkish border after having released a Kobanî. Meanwhile, the Kurdistan Workers’ Party (Partiya Karkerên Kurdistan, PKK) continues to beat terrorism without any support from the western forces. Fighting the Islamic State however, poses a peculiar challenge for the Kurdish Peshmerga. Obstructing the Islamic State’s advances not only places them within the terrorist group’s crosshairs, but also Turkey’s counter-terrorism strategies. As a matter of fact, the defense forces of the Kurdish people could consolidate control over occupied territorial area. After the liberation of the town of Tal Abyad, the Kurds discovered a 500-meter tunnel dug by militants of the Islamic State that, once completed, would have linked Tel Abyad with the first village on the other side of the Turkish border, Akçakale. Such a find creates room for speculating over covert Turkish support to the Islamic State, a dangerous prospect. The capture of Tal Abyad makes it possible for the Kurds to control three Kurdish-majority areas located along the perimeter between Syria and Turkey: Afrin, on the northwest of Aleppo; Kobanî, on the west side of Tal Abyad, and al-Jazeera, on the northeast of the province of Hasakeh. Such a situation provides the US-led coalition against the Islamic State another prospective, reliable partner unlike the Free Syrian Army who despite the millions dollars spent on delivering weapons and non-lethal equipment to neutralize President Assad’s forces, failed to deliver. The more recent achievements of the Kurdish Peshmerga Forces against the Islamic State include the capture of their military base of Liwa (Brigade) 93 in Raqqa. Further, they occupied the town of Ain Issa and a few neighboring villages. This, in my opinion, is a crucial zone for the development of the conflict, because it is located at the intersection of roads that link Raqqa to other territories controlled by ISIS on the West side of the province of Aleppo, and on the East side, the province of Hassakeh. Whatever said and done, the struggle for Kurdistan’s independence to the resistance against Islamic terrorism seems to be raising the possibility of yet another Kurdish Spring. In spite of the results achieved thus far by the Kurdish military campaign, the YPG continues to be at the far edge of the decision making process, excluded from corridors of power. American obstructionist techniques demonstrate the validity of Turkish President Erdogan’s fears, upset by YPG’s victories in Syria. In the aftermath of the Turkish elections that ratified the entry into Parliament of the Peoples Democratic Party (Halkların Demokratik Partisi, HDP) of the pro-Kurdish Selahattin Demirtas, lingers a clear suspicion. This battle will be conducted by the Kurds in the principle of self-determination, a Kurdish military campaign that brings to light a question quiescent for nearly a century and that could yet again, chart new territorial and political boundaries of the Middle East.